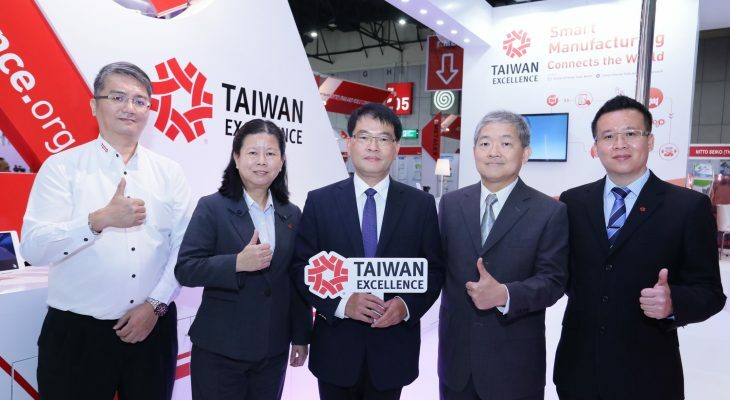 “Taiwan is keen on supporting Thailand 4.0. We are keen to introducethe latest smart manufacturing solution from Taiwan leading manufacturers of machine tools. We believe this is a good indicator that Thailand’s purchasing power within Taiwan is exhibiting continuous growth. Taiwan is Thailand’s most trusted partner, and together we will work to bring Thailand 4.0 to completion in the near future” said by Mr. Jason Hsue, the Director of the Economic Division of the Taipei Economic & Cultural Office in Thailand during a press conference held on November 21th. Automated Industrial Solution 4.0 by Avantech Co. Ltd.
TOYO desktop robot by Toyo Automation Co., Ltd. High-Tech Motor Products and Technology by Hiwin Mikrosystem Corp.
SAG-DE Angle Head Holder for Dual Side Machining Shin-Yain Industrial Co. Ltd.
TM-5 Robot by Techman Robot Co. Ltd.. The robot which thinks and operates like a human being will also be featured at the event.